Some people are having a lot of fun today as the people who Kickstarted Oculus are receiving their Rifts, sadly I wasn’t one of the kickstarters, it had ended shortly before I found out about it. It also appears that I’m a bit farther back in the group than i thought I was, my rift is still in ‘Preorder’ status, and if some of the stuff that I’ve been reading is true, it’ll be a competition between the Oculus and Vive on which will arrive first. April will be an interesting month for myself. 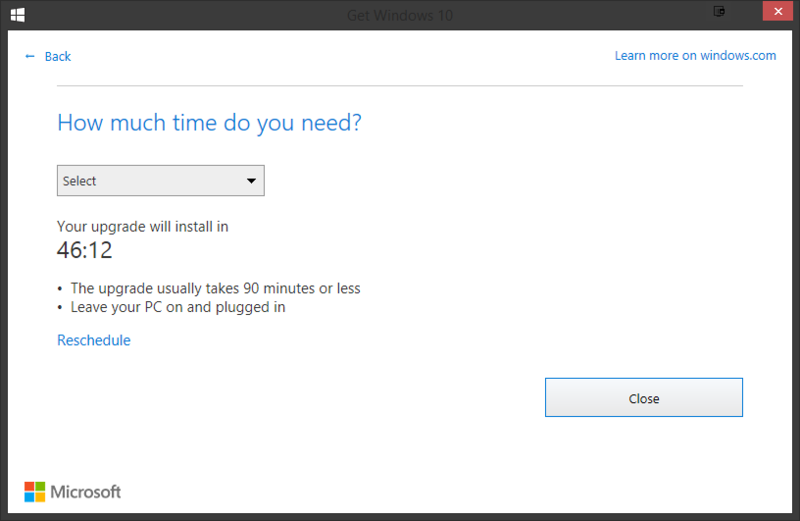 I’m not sure if I’ll keep it on 10, or if I may downgrade it back to 8.1. 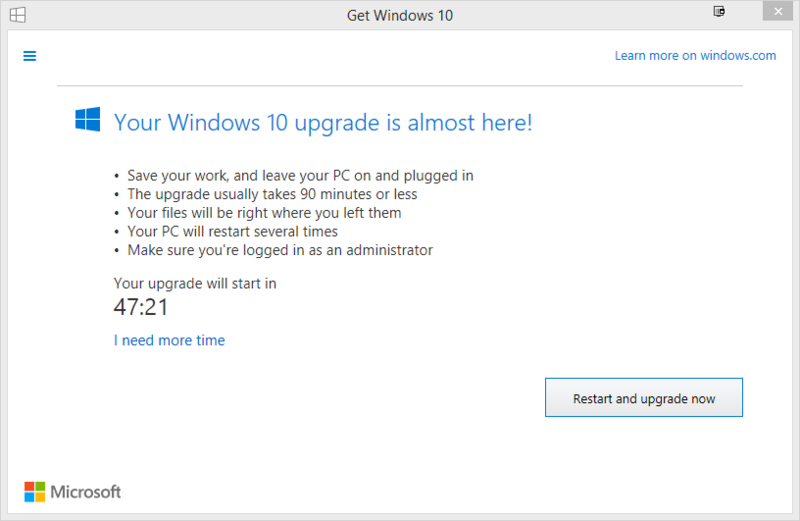 If I had been running Windows 7, I think that I would have cancelled the upgrade long before it attempted to upgrade. I highly prefer the appearance of 7 over 8, 8.1, or 10. 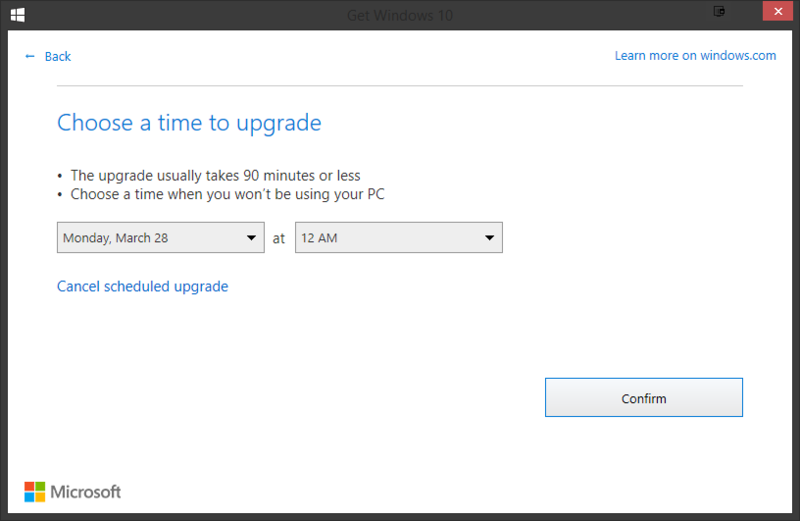 And then you can click on ‘Cancel scheduled upgrade’. I didn’t do that as I wanted to see if it really did what people have been complaining about on Reddit. Yes it does just reboot the computer, weather you were using it or not, had any documents open or not… it’s really not nice how they go about pushing the upgrade out. On the other hand, you would *really* need to not be paying attention to not notice the screen that covers everything up for an hour before it upgrades, if you were using it. If it upgraded during the night while you weren’t using it, then that would be a bit more difficult to notice and stop.